“Books are our Best Friend” is one thing which we try and instill in our children. MRIS-21C, Faridabad in association with Scholastic organized the above cited campaign for the purpose wherein they were asked to browse and read maximum number of books. The stars were awarded for the browsing done by each student for the drive. The students were very enthusiastic and participated zealously. The best reader class was chosen from the maximum number of book readers. Grade-V Alfred Noble won the award for “The Class of Star Readers” where in they were given 14 fictions, stories, some science facts books for library. 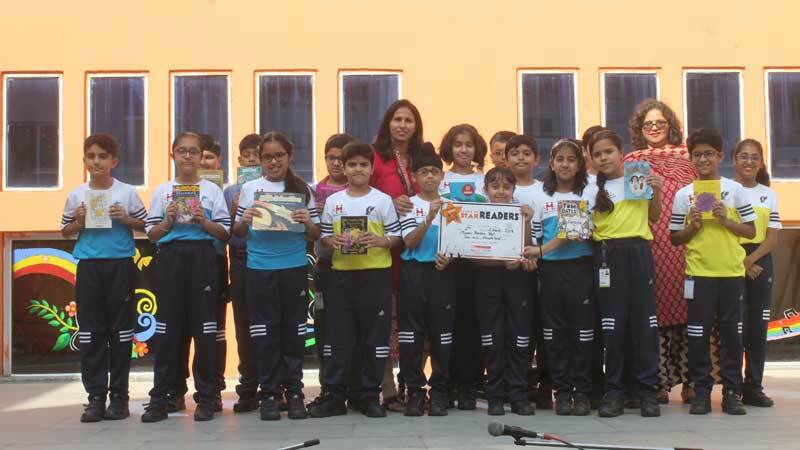 Ms. Preeti Chopra, the class In-charge and Ms. Shikha Arora, Librarian of the school were also congratulated for her effort in encouraging students to read more and enrich their knowledge and vocabulary bank.